I'm finally getting a grip on engine size in liters rather than cubic inches, but newton-meters for torque, come on! It will only confuse most people, plus it will also be a lie. The 3.6 in the XT5 is only 267 lb-ft torque or 367 newton meters therefor 400 would be a lie unless GM cranks up the torque to 400 newton meters or 295 lb-ft torque, which would be doubtful. It is never good to lie about your product, it turns off consumers and makes them wonder what else they are lying about. They should also just go back to names for cars and SUV's too, people understand that better, it's only car people who keep up with the numbers. C&C, RedCadi and 1fmgsr like this. I read another article on the same announcement that mentioned that Cadillac was rounding up to the next 50 or 00 so that's where the 400 comes from, which is nebulous at best. Most consumers don't even know about lb./ft. let alone newton/meters, throw in a number that (really) doesn't correspond to the correct figure and it brings the alphabet soup debacle even more ridiculous. Cadillac can do what it wants but don't call it a way to clarify or standardize anything. If I can paraphrase your comment: A turd by any other name, right? The rebadging is part of the scheme to steer our consciousness to the coming electrification move where it's all about the torque, isn't it? Just give me the good old cubic inch designation from the 60s. I dont see any electricity in my future. There's more info on this torque badge in Site News as well as in other Current Models forums. 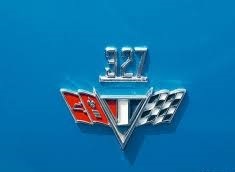 badging - Like on my 1965 Chevelle Malibu SS - except mine was Emerald Green Metallic. I just thought referencing Shakespeare was a little classier. Except that badging was/is not a lie, the car came with a 327 cu in V-8 that produces 350 hp, unless someone dropped the 396 cu in Big Block in it and left the 327 badging on it. August 24 Wall Street Journal Article RE: XTS & CUE. Read article comments. Rebadging V - Where do I put the emblems?